In this show we speak to Andy Cooper of West Wind Productions. 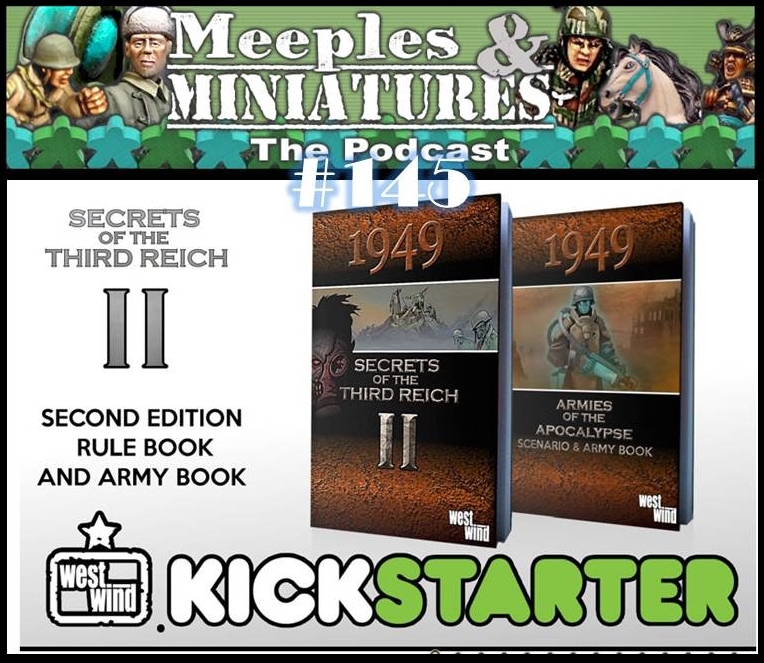 We chat about the last two Kickstarter projects that Westwind have run: Empire of the Dead: Requiem and War & Empire, and look forward to their new project – Secrets of the Third Reich II. The download link doesn’t work for episode 145 (if doing a “save link as”). Strange – just tested it and ‘Save as’ link seems to work OK.
What’s the problem? Is it just not linking to the file? It’s 0 kB. Comes up as a 0kB Firefox document. Weird. I just tried ‘save link as’ for the other episodes (which I’ve previously downloaded) and I’m getting the same Firefox document only option in the save window. Any suggestions? Thanks Mike. Yup, just right-clicked on the play button of the direct mp3 file as it was playing and I could ‘save audio as’. Did that and the mp3 option appeared in the save window. I already tried clearing my cache, etc, but with no effect. Maybe FF is going through some kind of issue at the moment. Anyway, it’s downloading fine. Cheers.